Ian Rutledge of Scotland Yard must contend with two dangerous enemies in New York Times bestselling author Charles Todd's Proof of Guilt. Can Rutledge solve the apparent murder of a top wine merchant while dealing with interference from his superior, the new Acting Chief Superintendent? 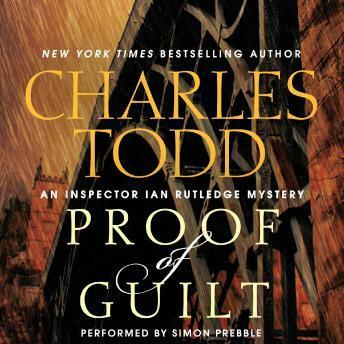 Readers of Charles Todd’s Bess Crawford books and London-based Ian Rutledge mysteries will be thrilled with Proof of Guilt, clue by clue.